The U.S. Marshals and ATF are seeking the public’s help in locating and arresting Nathaniel Thomas, who escaped from Golden Grove Adult Correctional Facility on St. Croix, March 15 and is still at large. Thomas also goes by Jahreek, J, Ringo and R. He is considered armed and dangerous, according to Supervisory Deputy U.S. Marshal Michael Picou, so be cautious and contact police immediately if you see him. Thomas, born May 16, 1989 in the U.S. Virgin Islands, is a black male, 5’8″, 120 pounds. He has hazel eyes and brown hair. He was recently convicted of unlawful possession of a firearm and reckless endangerment. 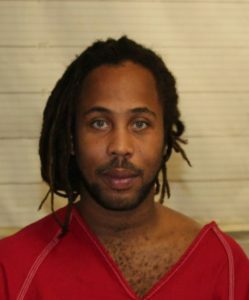 Thomas escaped from Golden Grove two days after being convicted by a jury in District Court. The U.S. Marshals and ATF have increased the cash reward to $10,000 for information leading to the capture of Thomas. Any information will be considered confidential. Persons with information should contact the U.S. Marshals at 1-877-WANTED-2 (1-877-926-8332) or email at [email protected] to remain anonymous.